Microsoft is trailblazing in customer relationship management (CRM) software with a foray into gamification. Microsoft has acquired FantasySalesTeam, a sales gamification platform that allows sales teams to run engaging and productive competitions. It incentivizes sales teams to hit milestones via a game-like achievement tracking system that is similar to that of many fantasy sports platforms. Microsoft Dynamics AX 2012 R2 Cumulative Update 8 (and above) is now compatible with Windows 10. The Microsoft Dynamics AX 2012 System Requirements are updated to reflect this change. Support for Windows 10 with Dynamics AX 2012 R3 will be announced within next 1-2 weeks. Microsoft Dynamics AX 2012 R2 CU9 is now available for download on Lifecycle Services, CustomerSource and PartnerSource. Cumulative Update 9 build number is 6.2.3000.110. For installation instructions, download the Installation guide for cumulative update 9 for Microsoft Dynamics AX 2012 R2. For detailed information on the Microsoft Dynamics Ax 2012 R2 CU9 release, please refer to the release notes official KB document KB3092626. To learn about known issues in cumulative update 9, log into Lifecycle Services by using CustomerSource or PartnerSource account. Then, in the Issue search box, enter “CU9 known issue” as the query for Microsoft Dynamics AX 2012 R2. 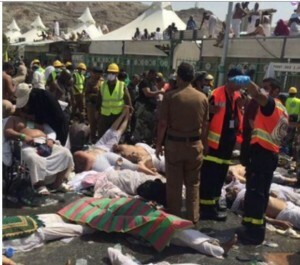 At least 220 pilgrims were killed on Thursday in a crush at Mina, outside the Muslim holy city of Makkah, where some two million people are performing the annual haj pilgrimage, Saudi Arabia’s civil defence authority said. At least 450 others were injured in the crush, which took place on Street 204 of the camp city at Mina, a few kilometres east of Makkah, where pilgrims stay for several days during the climax of the haj. The pilgrimage, the world’s largest annual gathering of people, has inevitably been the scene of deadly disasters in the past, including stampedes, tent fires and riots but still remains a tragedy that will blight the memory of such an important event in the life of those faithful attending. Massive infrastructure upgrades and extensive spending on crowd control technology over the past two decades had made such events far less common. Photographs published on the civil defence Twitter feed showed pilgrims lying on stretchers while emergency workers in high-visibility jackets lifted them into an ambulance. More than 220 ambulances and 4,000 rescue workers had been sent to the stampede’s location to help the wounded. Saudi-owned Al-Arabiya television channel showed a convoy of ambulances driving through the Mina camp. Thursday is Eid al-Adha, when Muslims slaughter a sheep. It has traditionally been the most dangerous day of the haj when vast numbers of pilgrims attempt to perform rituals at the same time in a single location. Whatever your faith remember them in you prayers. These days retailers have to compete in a multi-channel environment where the online customer and in-store customer and even catalog customer are all important to a successful retail strategy. It was a great shock to learn that Shaikh Rashid Bin Mohammad Bin Rashid Al Maktoum died of heart attack today and at the early age of 34. A three-day mourning period is declared in Dubai. UAE flags will be flown at half mast during the mourning period. 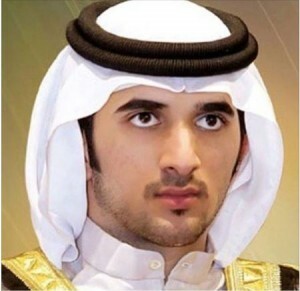 Shaikh Rashid was the eldest son of His Highness Shaikh Mohammad Bin Rashid Al Maktoum, Vice President and Prime Minister of the UAE and Ruler of Dubai and we are sorry to learn of their loss both to the family and to the country. Funeral prayers of the late Sheikh Rashid bin Mohammed bin Rashid Al Maktoum are to be held after Maghrib prayers at Zabeel Mosque in Dubai. Following the funeral prayer the burial of late Sheikh Rashid will take place at Umm Hurair cemetery in Bur Dubai this evening. A Work in government departments and institutions in Dubai will continue as usual, it was announced by Dubai Media Office. Microsoft Dynamics CRM is one of the most popular applications in the business world. 2.Business Processes on the go: Build branching logic into your Business Process Flow. Business processes typically consist of stages and within those stages there are several steps. In Dynamics CRM 2015, use business process flows to model and to guide users through even more complex processes with user friendly ‘directed workflow’. Different business process can be available for the same record type and can be utilized depending on the user’s access privileges. 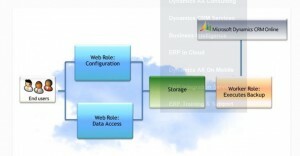 Dynamics CRM 2015 allows users to create branching business process rules which provides them with the ability to both connect and to combine multiple conditions within a rule. 3.Enhanced Mobile Sales: Dynamics CRM 2015 allows users to access their data while offline, for example field sales personnel can create sales quotes on their mobile device even while they’re not in network coverage. These records are automatically synchronized with the Dynamics CRM 2015 server when the user is back in network coverage. All dashboards in Dynamics CRM 2015 are optimized for mobile access. 4.Consistency everywhere: Dynamics CRM 2015 provides a consistent view on every device, be it phone, tablet or even PCs so you can view and update your activities, contacts, opportunities, etc. any time, any where, As such it provides users with real time access to critical data on demand. 5.Quick services: Dynamics CRM 2015 lets users add custom data directly from the field, for example a field salesman can save a customer’s contact and account details in the CRM from their mobile device, while they are conversing with the customer. Dynamics CRM 2015 also lets users create a quick database of customers which is automatically updated when needed. It can also be used to schedule meetings with customers and track their activities for a better view of customer dimension. Holidays for employees of ministries and federal government departments will be from Wednesday September 23 to Saturday September 26 with work resuming on Sunday, according to a circular issued by the Federal Authority for Government Human Resources and published by news agency WAM. The Ministry of Labour announced a three-day official paid holiday for private sector workers from Wednesday September 23 to Friday September 25. Eid Al Adha, the latter of the two Eid holidays, normally starts on the 10th of Dhu Al Hijjah, when millions of Muslims converge on Makkah for the annual pilgrimage. Customers expect to directly find what they’re looking for at any moment of the day. Self-service “Pull marketing is replacing “Push marketing”. Provide customers with an online sales portal for your manufacturing company to meet these expectations. Your competitors are already doing this. B2B business is transforming rapidly as a result of the shift from offline to online. Therefore ‘business to business’ need an online sales channel. And what are the benefits of selling online? Although everyone is aware of the trend, only a few know how it works. - Why is the market changing? - What exactly is B2B e-commerce ? - What are differences between B2B and B2C e-commerce? - What are the advantages of selling online? - What is the role of your ERP in B2B sales? Our e-commerce solution helps companies master the transformation of their business. Our mobile field sales ordering app supports your sales agents when they are outside the office, anytime, anywhere. Synergy MMS- for hotels – updated 3.6.0 released! SAI has completed the update for all properties using SynergyMMS. Some of the changes incorporated into this update. Duplicate checking now allows checking based on completed work request. Manage Pools easier – Review the Pools based on Outputs and or MOD’s. You can now find all the Pools that an Output is used in by the click of a button. Receipts – Return receipt sent to the person who created the work request, upon completion. Never wonder if your work got done. Simply setup an Email address in the Employees area for the team members then they can choose per work request if they want to get a receipt or not when the work is complete. See the Pool and the Output – The Dispatches tab now shows not only the output the work request is delivered to, but also the pool that that output is in. Custom Views now show not just PM, but PM Generator vs PM on Demand. Cancel Dispatch - Users with modify pooling rights are able to cancel an in progress work request. This means further delivery to the pool and or escalation will not happen. A new status symbol is then displayed. In some cases Trade pools were evaluated not taking their time in account. We now evaluate the pool as a whole (Trade, Day and time) and if the work request doesn’t fit then it would look for Department pools to fit. Grouping – Group PM’s to generate together (Simultaneously) or after completion of one (Sequentially). Group one or more PM’s to trigger generation at the same time as a parent, or after the parent is completed. Also easily review the grouped PM’s. PM on Demand – SynergyMMS now shows the Check out date where interfaced to a PMS. This makes it easy to generate PM’s based on availability of the room. Occupancy is now included on the Morning report. It is also retained for historical purposes. Favorite Report Names are now longer. SynergyMMS now allows you 100 characters to name your reports and make these more meaningful. Chinese text is displayed correctly for reports. SynergyMMS automatically calculates and assigns rooms to Guest Room Attendants (GRA) based on credits and types of rooms. This allows for 75% of the process to happen with no user interaction beyond the click of a single button. Use the new IVR interface to receive assignments, complete service and update room status via any house phone. A printable list of assignment is also available for each GRA. Microsoft Corp. (Nasdaq “MSFT”) last week unveiled the new capabilities it will deliver later this calendar year with Microsoft Dynamics CRM 2016, the latest release of its customer engagement solution. The most comprehensive upgrade ever for Dynamics CRM includes advancements in intelligence, mobility and service, with significant productivity enhancements to help businesses and workers achieve more. According to the Journal of Experimental Psychology, every time a user switches programs or applications, there is a 40 percent reduction in productivity. Microsoft has taken this issue head-on in the new release with a design principle that allows organizations to manage their customer-facing activities in a single experience, with no need to export or switch, drastically reducing the time to completion and saving time by automating fundamental tasks. Through an enhanced Excel experience within Dynamics CRM, complete with new Excel templates for various tasks, functions and scenarios, users can now efficiently toggle between functions as opposed to time-consuming and complex exporting, enabling them to augment their customer processes with simple, familiar analysis within their CRM experience. Organizations will also have access to their documents within Dynamics CRM via integration with OneDrive for Business and new document generation capabilities. The Microsoft Dynamics CRM 2016 release also introduces Delve functionality into the application. Powered by Office Graph, Delve helps users increase productivity by surfacing key content — enabling salespeople to discover information that may help them with their opportunity or account, such as popular sales presentations and proposals. Turning data into intelligent action is a cornerstone of business transformation and productivity, and the new Dynamics CRM release includes data management and advanced analytics capabilities powered by Cortana Analytics Suite. This includes Azure Machine Learning that can enable business insights so that sales reps are able to predict their customers’ needs. Mobility is core to productivity, and the next version of Dynamics CRM will provide full offline capabilities for sales and service professionals on phones and tablets and across all major mobile platforms (Android, iOS and Windows). The release also introduces the ability to create task-centered mobile apps to streamline the completion of sales-related activities on the go; and next-generation Cortana integration to surface: core deals, accounts and activities within the personal assistant. Last year, Microsoft launched sales productivity promotional offers (Sales Productivity, Connect with Customers, and Connected Cloud promotions) to make it easy for organizations to reap the benefits of productivity and intelligence in a single offering through Dynamics CRM Online, Power BI and Office 365. This solution will continue to be available for purchase as a discounted programmatic offer. The company will offer these comprehensive services aligned to a new sales and pricing model, via the Dynamics CRM Online Professional Add On to Office 365 beginning in October. The sales productivity offering has proved to be very popular with businesses which cite its success in breaking down silos, and the increased collaboration that leads to increased revenue, and the personalization that helps to differentiate from competition, to help in growing both the business, and retaining loyal customers. The company is also expected to bring the field-service capabilities it acquired when it bought FieldOne this past July together with the knowledge management and self-service capabilities it has added to its CRM family via it 2014 Parature acquisition. AX 2009 SP1 is now supported for SQL Server 2008 R2 SP3. AX 2009 SP1 is now compatible with SQL Server 2008 R2 SP3. Microsoft is number four and the biggest R & D spender as reported in Fortune magazine’s November 2014 article ‘The Biggest R & D Spenders Worldwide’. This amounts to 10.4 billion dollars annually. . Microsoft employs over 1,000 doctorate holding researchers and countless developers and thus Microsoft is constantly improving their products to help companies drive more business value by running processes efficiently, managing change easily, and competing globally. 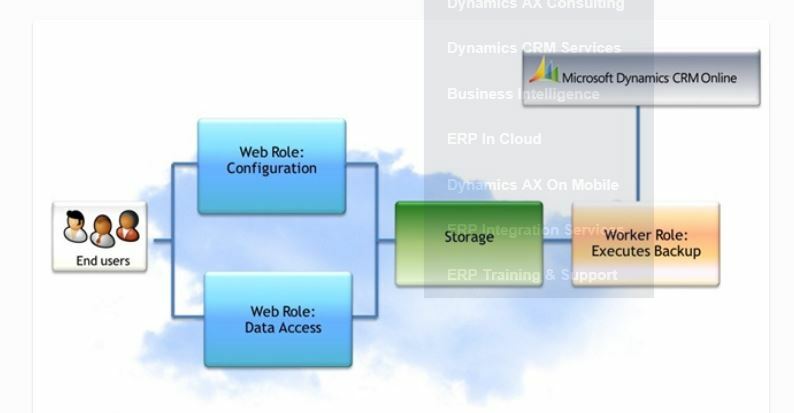 In the context of enterprise resource planning, Dynamics AX is considered the flagship of the Microsoft Dynamics family. Microsoft Dynamics AX 7 (also known as “Rainier”) will be released by the end of 2015, and the release will bring a change in paradigm from on-premises hosting to the cloud. The product strategy followed for Microsoft Dynamics AX 7 will be mobile first – cloud first. •	Mobile first – the new enhancements ensure that the application experience, regardless of the device platform it’s accessed on, remains the same for the user. •	Cloud first – is focused on AX 7’s new optimized platform which is suitable for both public and private cloud deployments with a “what you need, when you need it” approach on Windows Azure. Now that we’re in the second half of the year, it’s the right time to start thinking about how to prepare for this new version. How you should prepare for AX 7 depends on from where you are starting – whether you are currently an AX R3 user, an AX user on an older version, or are not an AX user but are thinking of implementing in the near future. Scenario 1: You are an AX 2012 R3 user. You can upgrade to AX 7! There are several things to consider: upgrade needs, cost, and cloud readiness. Implementation: Right now, your AX ERP is hosted on-premises on your server. If you stay on premise then you may need to update your server, and your operating system, database version, bowser etc. As you use more of the software and move to later versions then the underlying platform also has to be considered. For many that is a reasons to move to the cloud. Should your company’s data need to be migrated to the cloud then all applications and customizations will also need to shift to the cloud. So consider which applications and third party solutions are already integrated with AX. Understand how you will connect those applications with your cloud AX and whether they are compatible with the latest releases of operating system, database , browser etc. Selecting the right partner who can help move the existing application and customize from on-premises to cloud is critical. The upgrade process will take a few months. As an R3 user, you paid a one-time license fee and pay an annual BREP as % of the license value you have purchased for on-going software enhancement. Going forward, you will have subscription-based user licenses for cloud access. For many industries this will offer advantages for several reasons. If your business is seasonal, and you have high users for only a few months, then there is no need to pay for the entire year anymore. For example ice cream and cold drinks in the summer, harvest time, retail Christmas sales, or Thanksgiving Eve and Super Bowl Sunday. It doesn’t make sense to purchase a huge number of servers just for two days’ worth of traffic. But with everything on the cloud, such companies can pay for just what they need when they need. The same holds true as you scale up and down for any reason. Some users will have intense data processing perhaps only at month end- whether for reforecasting, scheduling, budget updates, month end close, consolidation, BI etc. However through the month there may be a more even workload. Cloud Readiness: If you are a global AX user, identify where your AX 7 access will occur. You can purchase more than one access point to avoid any time delays or access issues. You should also review infrastructure needs. If you have a large number of users that you think will be on the ERP, then you may need to increase infrastructure bandwidth for speed and data usage, to connect to the cloud. The bottom line for R3 users is that you are well-positioned for an AX 7 upgrade, as long as you pay attention to a few issues along the way. The first of which is to get upgraded to CU or 9. The second is to ensure you have configured the new Warehouse module correctly. The third is to understand the license changes. Scenario 2: You are an AX user, but do not have R3. If you have not upgraded to or implemented AX 2012 R3, then you cannot go to AX 7 right away. The first step is to upgrade your current system, whether it’s AX 2009 or AX 2012 R2, to AX 2012 R3. Depending on which AX version you currently have, and how complex your system is, there will be different timeline implications. You will also need to pay for the upgrade work and to consider your own testing time. Once all of this is complete, you’ll find yourself in “Scenario 1” and migration to AX 7 can happen immediately after. An important consideration is licensing. In older versions many modules had to be purchased separately, and user licenses were concurrent. At Ax 2012 all modules are provided within one AOS license. Ax 2012 and Ax 7 are both licensed as named users. There are different levels of user at Ax 2012. License type needed is based on system use and is tied to role based security and actual tasks undertaken. Microsoft licensing does not restrict your use or the number of users-which gives flexibility if users adopt more functionality over time. However, you are expected to pay for what you use and to update your license when needed and Microsoft like other erp vendors has the right to audit the use of its licensed software and to require that you become compliant. This is similar to the approach adopted for other Microsoft products like SQl for those on an EA (Enterprise Agreement). It is likely that at Ax 7 Microsoft will further align licensing of its solutions and introduce the option of Ax 7 on azure within a package of e.g, Office 365, Exchange, ADFS, CRM, Skype Business etc.. Scenario 3: You are evaluating ERPs but currently are not an AX user. Whether you have another ERP, are planning to implement an ERP for the first time, or want to go from NAV or GP or other ERP system to AX, then you can consider going straight to the cloud and AX 7. A question that people evaluating Microsoft Dynamics ERP often ask is, “How many companies are using Microsoft Dynamics?” These are the recently updated numbers from Convergence 2015 provided by Jim Desler, Director, Corporate Communications at Microsoft. When you estimate the sizing and costs, consider how many backs up you will take? Don’t forget the need for separate development test /training environments, and maybe to run both old and new versions during upgrade. If you want your implementation partner to access your system for data load, or for support, then also consider the cost of those licenses. The different environment may have different sizing and user numbers. As you can see, dependent upon which category you find yourself in, there will be different ways to prepare for the AX 7 release, which will be initially offered on the Azure cloud, and with an on-premises version offered shortly after. Also keep in mind that AX 7 is a new product release; as with any new release, there may be some initial issues. The issues will definitely get resolved, but for some may make sense to plan to go live a little later. One reason for this is that the Microsoft road map indicates there some features that may not be available in the initial release so it depends whether those features are needed. The fewer the modules you use, and the more standard i.e out of the box your system the sooner you can plan to move to Ax 7. For many customers on legacy versions they may find that complex customisations are no longer needed because of the significant product enhancements introduced at Ax 2012, and Ax 7.For others those new features may be a compelling reason to reimplement. Whether or not to go on premise or on the cloud again has many pros and cons depending on the company. The cloud can reduce initial cash flow and investment and lead to faster deployment. Whether a company has a large IT department, or finds it difficult to recruit and retain such resources, and whether it has multiple interfaces to other solutions, or whether it uses Office 365 will influence the technical decision. For example a company with a mobile workforce e.g. one that does international contracts may value the new web client for ‘anytime anywhere/ access more than any other feature. If internet connections are a problem in the country where the company operates, then on-premise may be a more sensible option. Whether to move to the cloud is often seen as a cost or a cash flow issue. This will make sense for many however this is not so clear cut an assessment as it may seem. More important is the management philosophy of whether they want to vertically integrate operations, and see IT as a strategic competitive weapon, or whether they want to outsource back office functions to concentrate on the core business. Knowing how to prepare for the soon-to-be-released AX 7 will help plan and make the upgrade or implementation a much smoother process. Besides the points stated above, how else are you preparing for AX 7? Do you have any other questions about what it will take to get ready, either from a technology or business point of view? Budget now and take time to understand the issues and to evaluate and to plan appropriately.